Why Do Cats Like To Sleep With Their Owners? The Facts. Why Do Cats Like To Sleep With Their Owners? If you are a cat owner you may have noticed that your cat prefers to sleep in your bed rather than their own. In fact, it’s not that uncommon for them to completely ditch their own bed and spend as much time as possible sleeping with you. 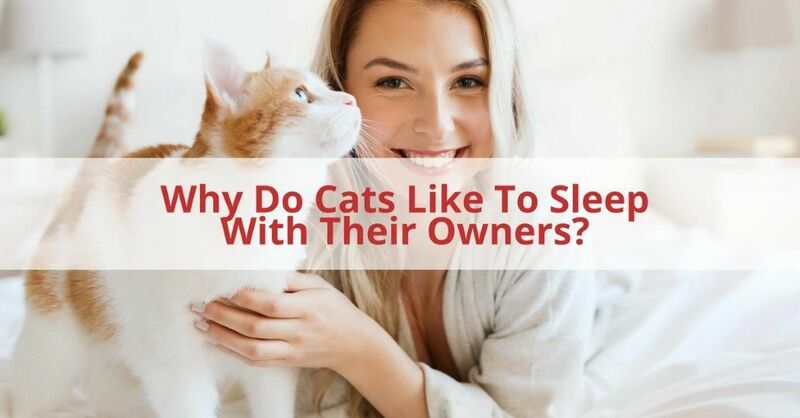 In this article we answer the questions Why Do Cats Like To Sleep With Their Owners? Cats are very vulnerable when they are sleeping and like to find a place, or person, that they trust to sleep on. When they sleep with their owner they are confirming to you that they trust you. While your cat does trust you they also want to keep warm and they love the heat from their humans. They also love your duvet and blanket that provide extra warmth. Your cat loves that you are a human hot water bottle for them. There is no doubt that your cat loves you and wants to spend time with you, but they also want to tell you they love you by spending time with you. Cats don’t like to be alone – despite what people think about cats being independent. Why Do Cats Sleep On Your Head? Have you ever had an older relative tell you to put a hat on to keep warm? Well, there is a reason for that! You lose a lot of heat from your head. So, it makes sense that your cat would want to be where all the heat is. It’s also the safest place for a cat to be as your head moves the least amount during the night. Whereas your arms and legs tend to be the most active during the night and potentially the most likely to disturb them. A warm safe place is a perfect spot for your cat to feel relaxed and comforted. It’s a very personal choice whether you want your cat to sleep in your bed. Some people hate the idea and others wouldn’t have it any other way. There are pros and cons to both, so it’s important to consider either side and see which option suits you and your cat best. Warm and Cosy – Both you and your cat will benefit from the heat of sharing a bed. There is nothing cosier than a cat snuggling with you at night. 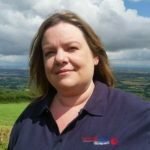 Stress Relief – When you have had a stressful day there is nothing more relaxing than snuggling into bed with your cat and a good book or a movie. All animals are a great stress relief. Bond with your cat – The more time you spend with your cat the greater the bond you will have with them. Cats are very loyal animals and will soon become your best friend. People tend to assume that cats are independent and don’t need a lot of time and attention, however, they can be just as loyal to their owners as a dog. Dirty Feet – Cats are outside a lot of the time and can bring in all sorts of mud and dirt on their paws. They also will either be toileting outside or using a litter tray and could transfer some of this dirt onto your bed. 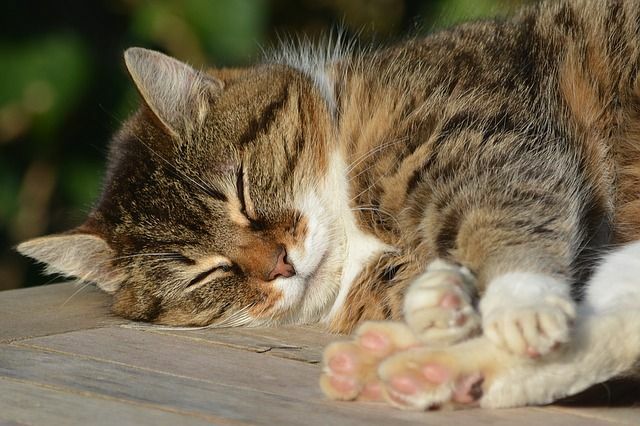 Cats don’t sleep through the night – Most cats like to be active at night as they spend a lot of the day sleeping. This means that you could experience a disturbed night of sleep. Allergies – You may find that pet hair in your bed causes you to suffer from allergies. People can develop an allergy to pets that they never had before if they spend a lot of time in close contact with them. Do you let your cat sleep in your bed? Let us know in the comments below.